I was very pleased to receive a package from Jordan Crane this morning. 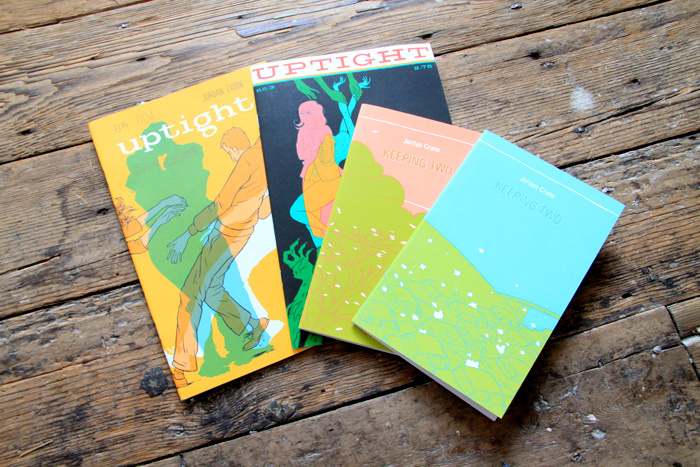 We now have Uptight no.3 and 4 and copies of Keeping Two with screenprinted covers. If you’re not aware of his work then go over to his excellent site, What Things Do where he publishes his own work as well as stories by some of North America’s best cartoonists. Also, if the cover of Uptight No.3 looks familiar that’s because a version of that image first appeared in Nobrow 1! Unfortunately we only have four copies of each title so they are bound to be gone pretty soon. Hurry down to grab one! 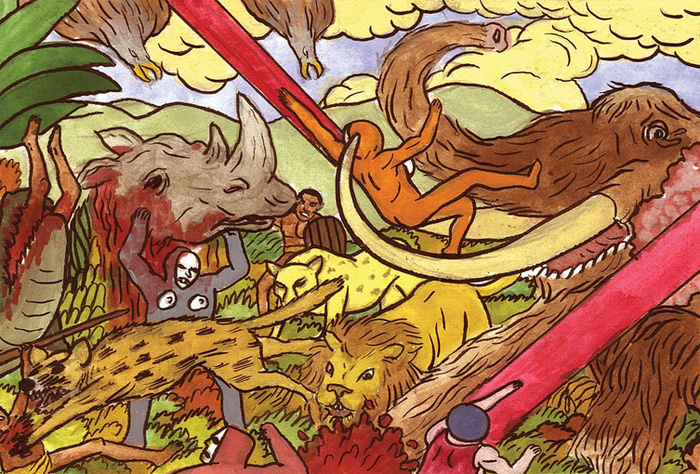 I just wanted to highlight this vertigo-inducing image from Von Einem Der Auszog by Doris Freigofas. 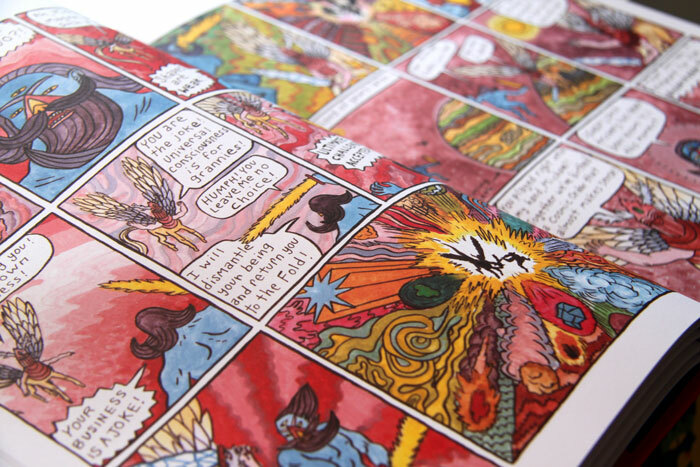 It’s a beautiful large-format, two colour screenprinted book in which each spread details a different dramatic scene. A tattoo and piercing parlor, a zoo, a swimming pool, a student party, a fire and more, all rendered in blue and red with a dazzling use of negative space. Every page in this book is a sophisticated piece of image making packed full of narrative detail. There where only 50 copies made and we have two of them in our shop (and another in a cabinet in our studio). It’s worth the trip to Shoreditch! House of Gold is up for one more month, don’t miss your chance to see it! Pictured above is Eda Akaltun‘s fantastic diptych ‘Two Suns’ and ‘The Moon’ for the House of Gold exhibition which will be up until the first week of September. 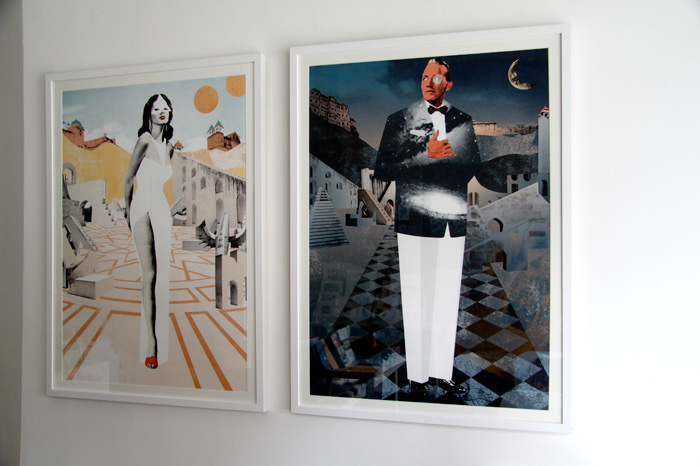 The show features new and original work by Eda, Eleanor Meredith and George Lewin, with exclusive prints and painted works on offer. So don’t miss your chance to see this beautiful show and get your hands on limited edition, exclusive prints and paintings. Read More.. The amazing, the astounding, the hilarious space-time epic that is Forming is finally out! Jesse will be signing copies in Secret Headquarters, 3817 Sunset Blvd, Los Angeles, CA on the 5th of August at 8pm, don’t miss your chance to get yours scribbled. Please see flyer below for more details. Read More..
On Saturday night and all Sunday, independent press and publishing will be taking over GALERIE8’s atrium for A/FFAIR. 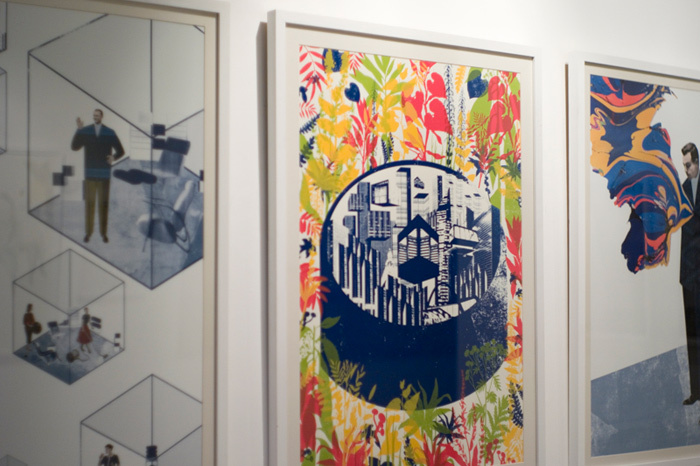 There will be approximately 30 stalls from rare book dealers, and artist collectives. We’ll be there with all the new books and more. The stalls will be open from 8-12 on Saturday evening and from 11-5 on Sunday. Galerie8 is located at 195-205 Richmond Road, London, E8 3NJ. Witness: the artist, in thoughtful repose. 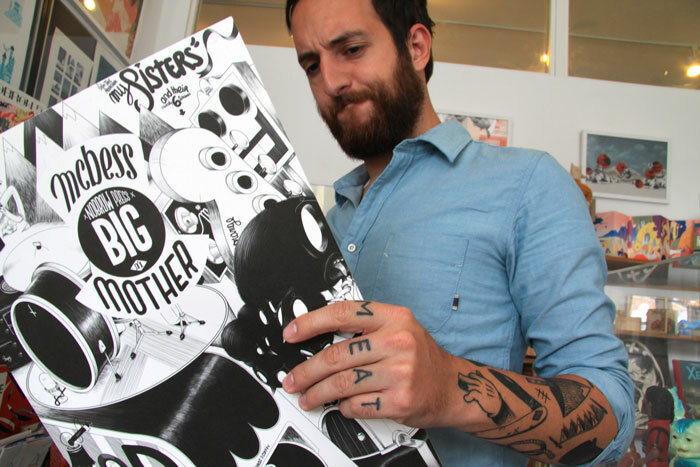 Mcbess looks at a copy of Big Mother in our shop. He isn’t really small. The book is called Big Mother for a reason!.. OK! This photo really serves to give an idea of the hyper-indulgent scale of this book and to show that Mcbess designs his own tattoos. If your familiar with his work then you’ll know that an oversize portfolio printed in a numbered edition of only 2000 will be excellent and won’t last long! Grab it soon or forever hold your peace. We are very pleased to announce that Fight! 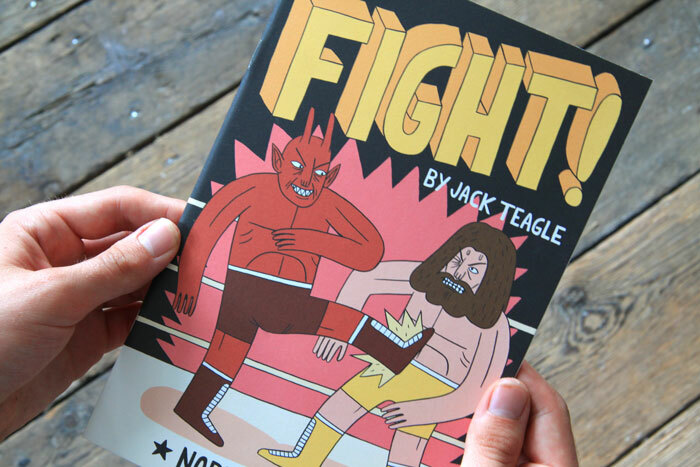 1 by the infinitely talented Jack Teagle is out now and will be hitting the shelves of good comic book stores soon! The comic is part of a new series aptly named ‘Serial Box’ which aims to release a new comic by a select group of artists every six months Jack with his Fight! narrative is first, followed closely by Louis Roskotch in the New Year. 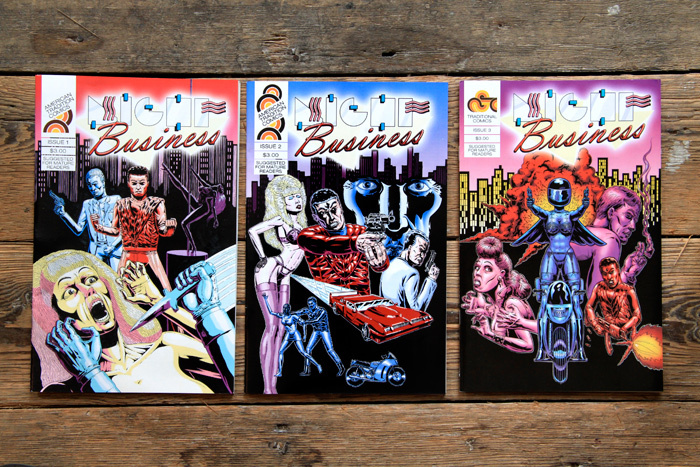 The series will change format by issue 2, so don’t miss this chance to get your mitts on a floppy copy! And here’s the greatest part, it is just £4.50! House of Gold pics, finally! Hi all, we’ve finally gotten round to putting the House of Gold exhibition pics online in what has been a rather long month, marred by thefts, perforations in unexpected places and a barrage of work quite unusual for a holiday month like July. But here they are in all their glory. This amazing exhibition of prints, installation and original paintings is still up for another month, so don’t miss your chance to see it. For more information visit the Butter website. 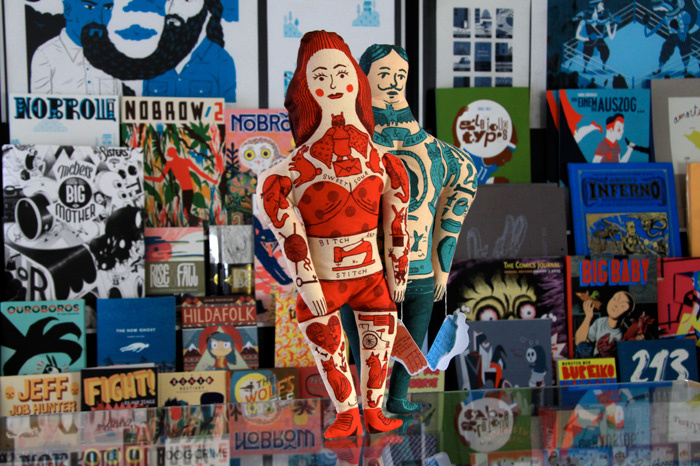 This is a reminder that Luke Pearson will be kicking off the very first Nobrow signing tour tomorrow. He’ll be bringing copies of his brand new masterpiece, Everything We Miss to Dave’s Comics of Brighton. 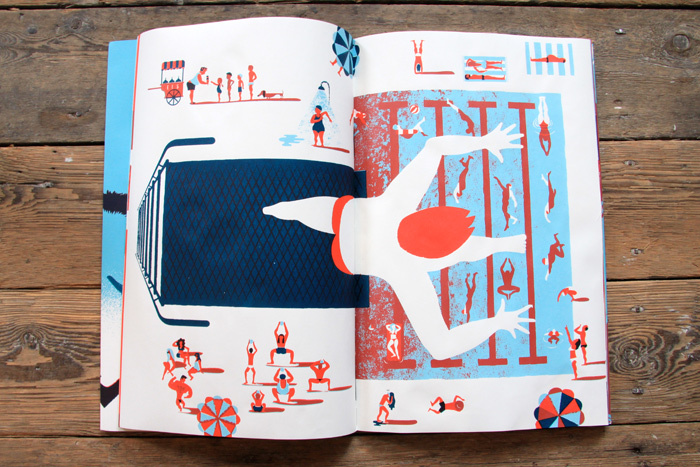 He’ll then move on to Travelling Man Leeds on the 23rd, the hometown of half of Nobrow (the Sam Arthur half). We will then be at Travelling Man Newcastle on the 30th and London in early August, more details on the latter to follow shortly. 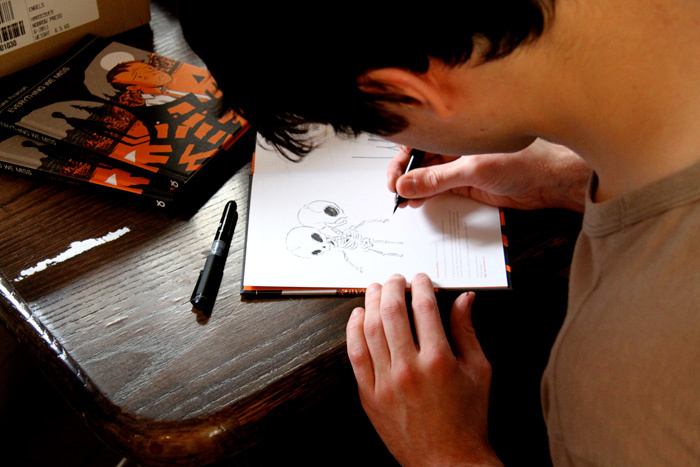 We will create separate event pages for each event, if you are anywhere near any of them, come and get your copy signed and scribbled by Luke Himself. Also everyone who buys a copy of the book on the day will get a special limited edition A2 poster (worth £5) free! Read More..
1983… The city… At night… There’s a killer on the lose and he’s targeting only the hottest dancers… sombody’s got to put a stop to it and ‘Mad-Dog’ Johnny, defender of innocent beauty, takes that task upon himself. Sweat and blood drip from spandex. The City’s dark underbelly is crawling with violence, lust and glamor. Can Johnny save the girls from a grizzly end? Can he even save himself? All shall be revealed in the first three installments of Ben Marra’s hilarious story. Available now from our shop at 62 Great Eastern St, EC2A 3QR, London. Forming is out on pre-order! All pre-orders will ship from Monday 18th of July with a free A2 poster of our other latest release Everything We Miss as well as 10 fantastic Nobrow postcards (worth £5 in total). This will be one of the major releases of the year, Don’t miss out! We have a new exclusive in the shop! These Tattoo covered dolls are made by the very talented Liam Barrett. Hand stitched, hand printed and packed full of amusing detail, my only question is which one am I going to take home: the engagingly beautiful young lady or the wistfully soigne gentleman?.. The debate rages on. 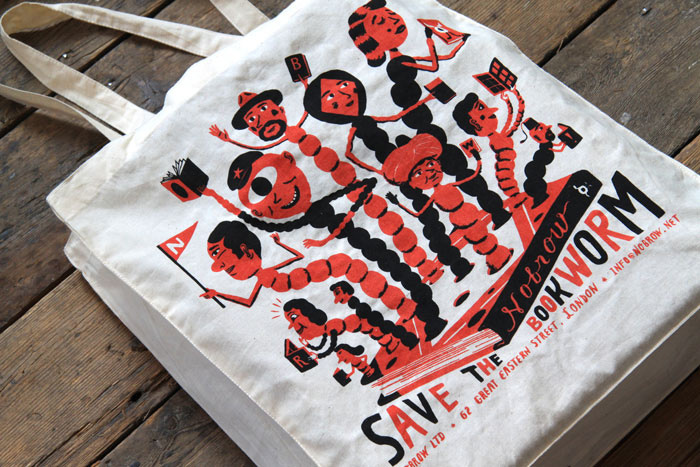 Check out the new tote bag by Bjorn Rune Lie, co author and illustrator of Wolf’s Whistle. This is the first in a range designed by some of our favorite artists. We got a box from Japan! The box was full with Presspop goods! 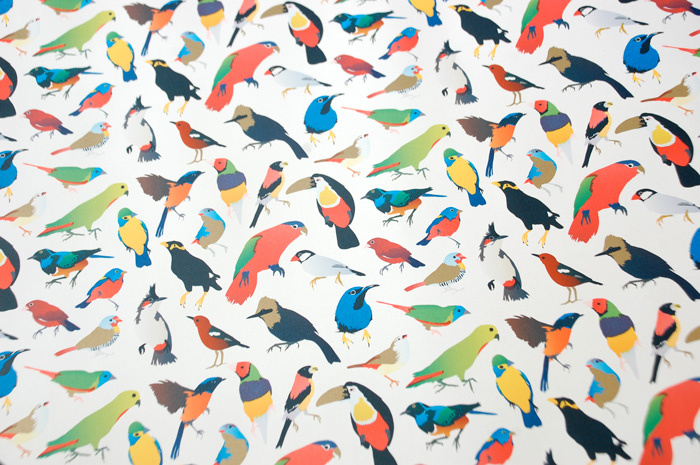 It’s now all for sale in our shop! 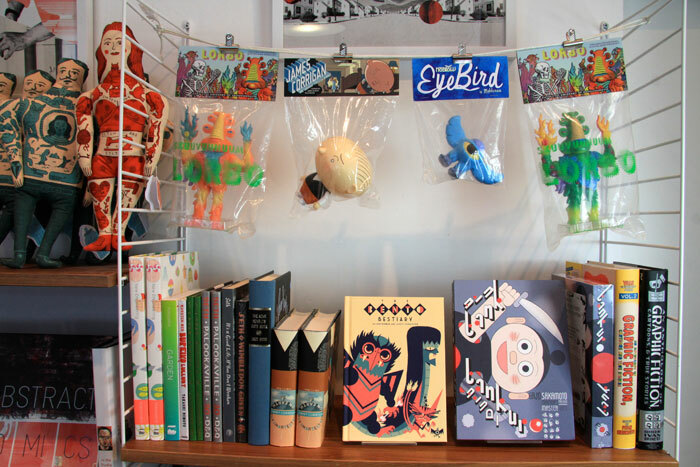 Presspop is a Tokyo based publisher specializing in Artists Toys and comics. Everything they produce is brilliantly crafted with an intense attention to detail and they work with some of the best cartoonists around. Unfortunately, as it came all the way from Japan, we haven’t got much stock and I don’t expect it to last long… hurry hurry!